Kent Johnson's Doin' Fine. Photo courtesy of LIVE on the Plaza. Oklahoma City‘s Plaza District, located on NW 16th St. between Blackwelder and Indiana Ave, has transformed from a decaying neighborhood into a thriving one and is now home to galleries, studios, retail spaces, and eateries run by community-oriented entrepreneurs. When the weather warms, the Plaza District puts on a seasonal arts market, which takes place during the neighborhood’s monthly LIVE on the Plaza street fair. The arts market features traditional media as well as artisans of all stripes. Norman-area fiber artist Darci Lenker returns to the Plaza with her hand-made dolls and stuffed animals. Artist Jim Shelley will be selling a variety of fused glass creations, including glass pendants, while Kent Johnson will be there with his collaborative art clothing line Doin’ Fine Clothing. 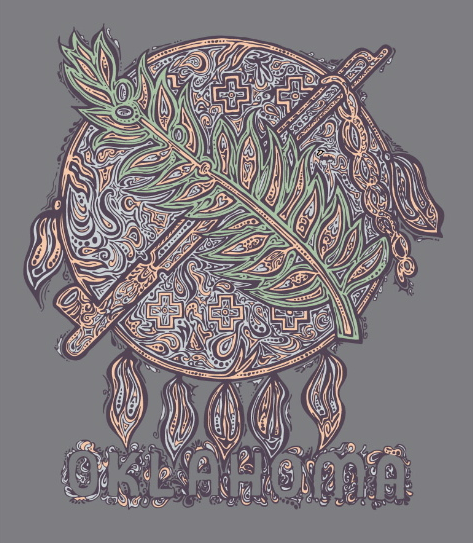 Johnson’s creative vision celebrates “Okieness” and a love for living in this state. Photography fans can check out Ramsay Walcher. He produces a variety of digital and film prints, including prints made with sun-sensitive inks. Delaney Martin makes organic apothecary style items like handmade soaps and solid perfumes, which she creatively packages in recycled glass bottles. Martin also carries lockets in her assortment of specialty wares. Another artist, Brandy McNair, will also have handmade jewelry available. 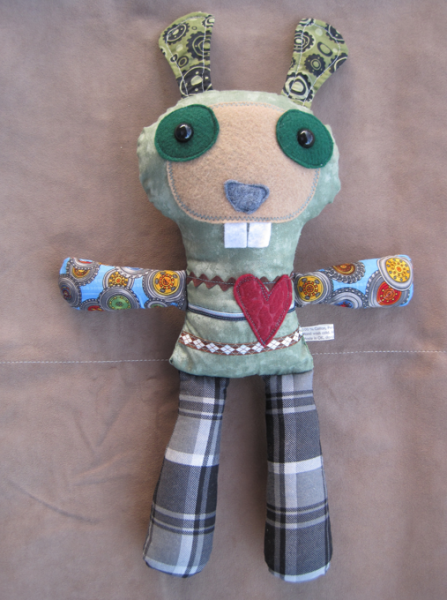 Handmade dolls by Darci Lenker generally sell for $20, but can range from $10-30. Photo courtesy of Darci Lenker Art. The Plaza’s second Friday events also include live music and food vendors, along with open houses at the neighboring local businesses and galleries. The Society hosts a show featuring folk singer Samantha Crane and Chrome Pony (Unfamiliar with Steven Battles’ music? Read what Cody Bromley had to say about the three speeds of Chrome). There is no cover for the show. At The Parish there will be live performances by The Younglings, Jerrod Beck, and Patrick Hill. LIVE on the Plaza runs from 7-11PM this Friday April 13th and the artists will be out with their wares weather permitting. If it storms that evening the event will likely be canceled. Check LIVE on the Plaza’s Facebook page to stay up-t0-date. Click on the images to see artist details. Also, because the Plaza folks are community-oriented there's also a Plant the Plaza event that will be held the next day on April 14th between 9 am to 1 pm. Check it out! Tagged Artist Jim Shelley, community, Darci Lenker, Darci Lenker Art, Delaney Martin, Kent Johnson, LIVE, music, Oklahoma City, Ramsay Walcher. Bookmark the permalink.